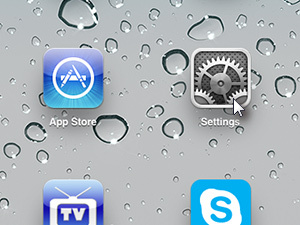 ... and tap the little black remove button in the corner of the app icons. And it's gone. 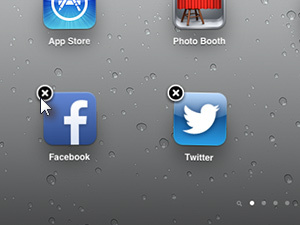 To prevent this from happening, press the Home button. 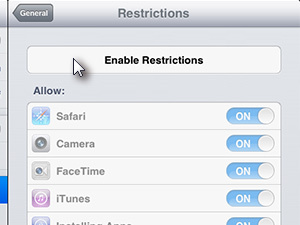 Now let's go to restrictions. 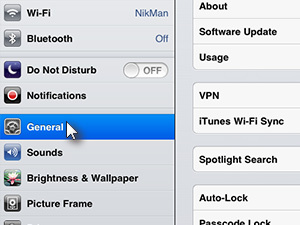 Tap General and choose Restrictions. 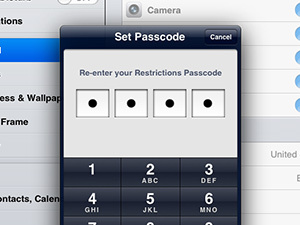 ... and repeat the passcode one more time for conformation. 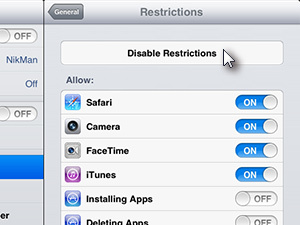 You can now enable restriction for individual apps installed on your iPad. 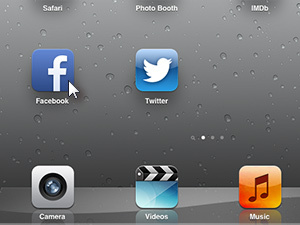 If you don't want people to run individual apps than set them to Off. 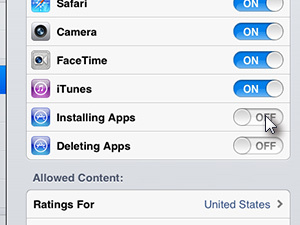 If you don't want people Installing new apps or deleting existing ones from your iPad then simply restrict Installing Apps and Deleting Apps. 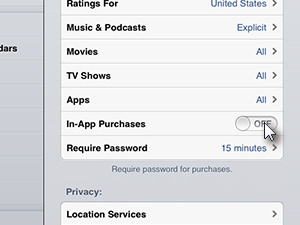 If you don't want your kids or friends buying items and spending your money inside of apps then set the In-App Purchases also to OFF. 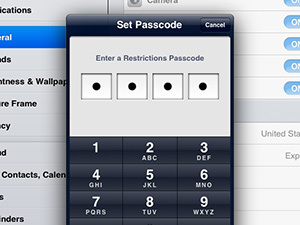 You can disable the restriction any time you want, by simply tapping Disable Restrictions and entering the passcode you set.